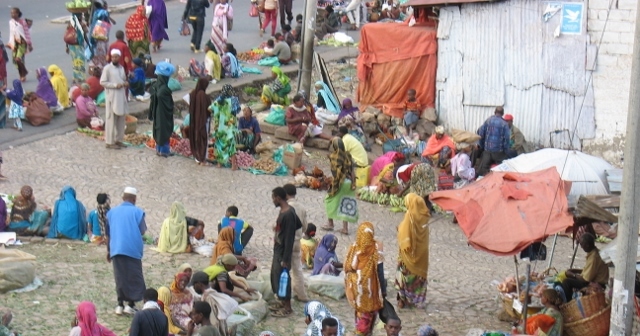 During the three other times I’ve been to Ethiopia, I’d never ventured outside of Addis. So this trip has been a completely different and interesting experience. One of the cities I’ve wanted to visit for a long time, for a variety of reasons, is Harar, an ancient walled city in eastern Ethiopia. It is actually one of the oldest cities in all of Africa. 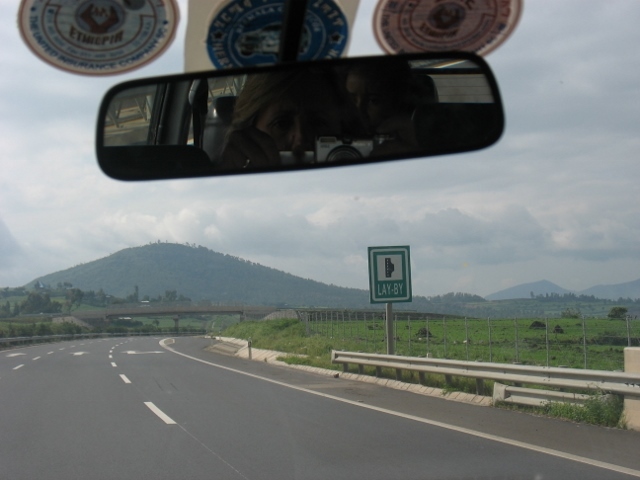 After our trip to southern Ethiopia, we had one short night in Addis, then off we went to Harar. The first hour or so of the 9 hour drive is on a brand new absolutely gorgeous freeway, just as nice as anything in America. No people, no cows, no goats walking on the road, no big trucks in oncoming lanes passing at the last minute. Heavenly. After the freeway comes normal Ethiopian 2-lane highways complete with walking people, all sorts of animals, plus desert. I suppose it is exactly what most people imagine when they think of Africa. 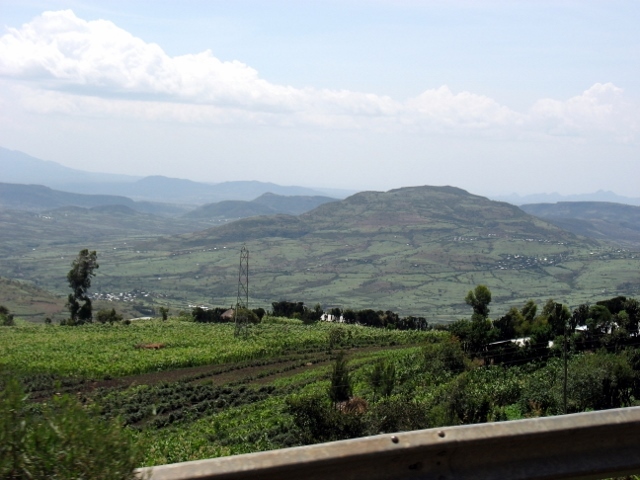 But let me tell you, it is really different from the cool, lush greenery in Addis and down south. 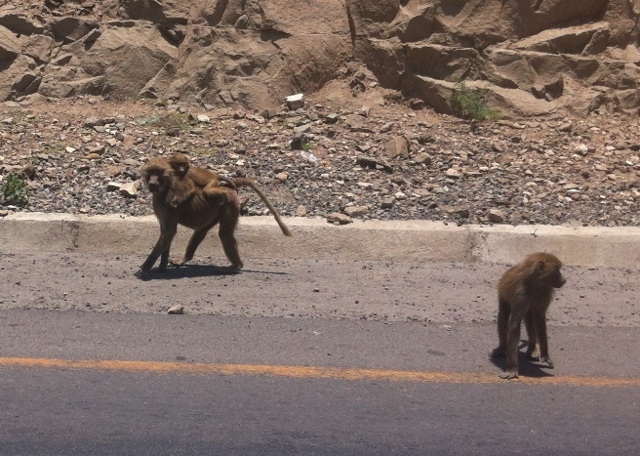 Here in the desert we saw tons of cactus, acacia trees, and even quite a few wild monkeys. We threw a few old brown bananas to some of the monkeys and caused much screeching and running. There are also camels, some domesticated and others who seem to be living out in the wild, including one camel napping in a relaxed fashion in the middle of the highway. Apparently being taller than most of the vehicles on the road can give you a superiority complex. Supposedly there are also lions in this area, but happily we didn’t see any of those. Sophie did see a hyena, however. Once we made it through 4 hours of relative flat driving, we made our way up into the mountains, where the scenery is as beautiful as any I’ve seen anywhere. Along with having vegetation different from Idaho mountains, it was also much more densely populated. There were houses and little fields everywhere, which also meant that traffic on the roads never quit. Always there was another slow-moving truck to pass, or a minibus intent on passing us. It was utterly normal for drivers to take the exact center of the road as long as no one else seemed to be needing part of it, and many, many times I’d see oncoming traffic in our lane, passing someone. Then add in sheep, donkeys, and random children running out into the road– yikes. 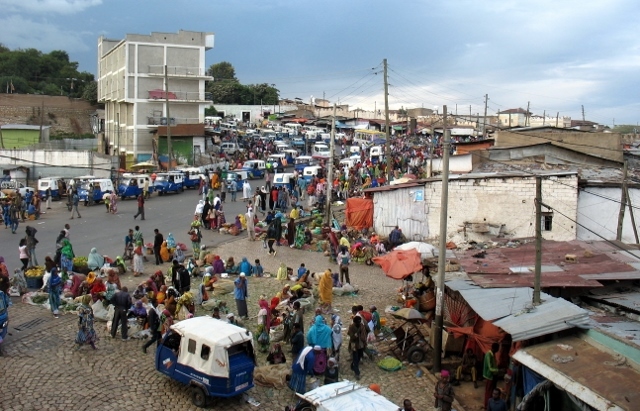 We had a hotel reservation in Dire Dawa, a town an hour or so from Harar. I’d done it to keep our stay in Harar shorter, since Harar hotels aren’t known to be all that great. 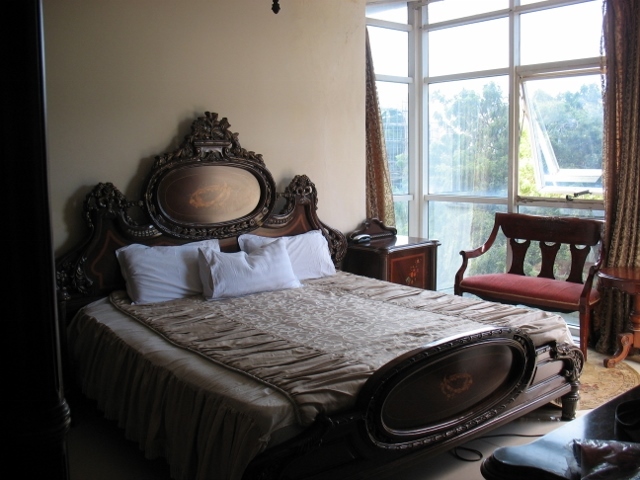 And that hotel was better than ours in Harar, by a long shot. 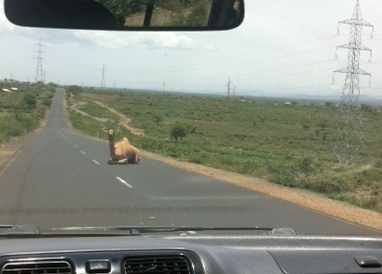 But it turned out to be quite a bit of extra driving, both to get to Dire Dawa, and to find our hotel there. The hotel is called the Selam Bluebird, and is at the edge of Millennium Park. We got two rooms for the 6 of us, on two separate floors. After the long drive, we opted to eat dinner in the hotel restaurant, which was utterly empty. Not a good sign. The serving lady found us difficult — we were slow to decide what to order– and she mildly chastised Lidya for not speaking better Amharic, which greatly irritated Sophie and me. Lidya’s Amharic is coming back by leaps and bounds and she can express herself in Amharic remarkably well– truly a miracle considering she’s been surrounded only by English for 8 years. We had reasonably ok Ethiopian food for dinner, plus french fries, which made Julianna very happy. 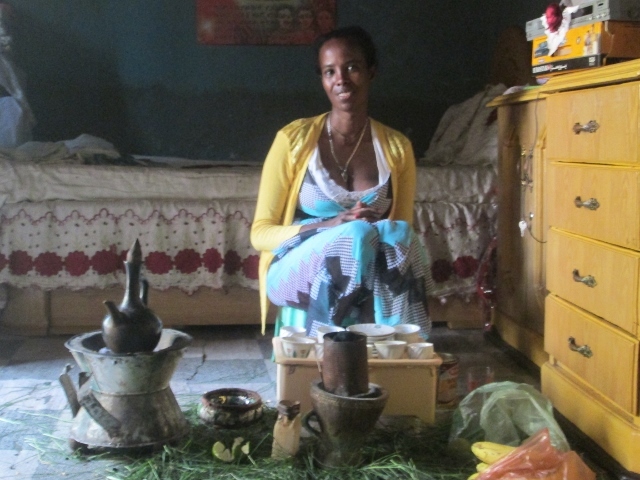 She likes Ethiopian food ok (her fave: the injera) but overall she much prefers mom-cooked food. Funny side note: the worst food on the whole trip according to all the girls was on the airplane. Halfway through dinner, the power went out. At that point it was still light, so we finished our dinner, and then decided it might be a good idea to get settled into our rooms before it went fully dark. Before going up, we asked at the desk for candles, and a few minutes after getting up to our rooms, they were delivered to us. Not likely any hotel in the US would hand out such fire hazards to their guests. Just about the time we were settled in to sleep, the power came back on– hooray for A/C! The fan noise and the cool air made for a good night of sleep, even for Emily and Julianna and me who all shared one single bed. Breakfast was supposedly included with the room, so we went down half an hour before the end of breakfast time to find very slim pickings indeed– a few eggs, potatoes, and a dab of firfir. An Ethiopian man coming in after us chastised them for the lack of food. When the worker asked if we wanted omelets, we happily accepted, only to get billed at the end of breakfast. Apparently the omelets weren’t part of the free breakfast. Ah well. Off we went to Harar. The drive was blessedly short- only about an hour. We had reservations at Hotel Belayneh, which is at the edge of Old Town. The old town is surrounded by a wall, with many gates and we were next to the Shoa Gate. This hotel was by far the worst one on the trip which is pretty much what I expected. The whole place was dirty, the bathrooms stunk, and we had water a couple hours a day max. There were several good things though. First, it was a mere $45 a night for THREE rooms. And even better, the rooms all had balconies, on which we sat for hours at a time watching the chaos in the marketplace just below. The color! The action! The noise! It was ALMOST worth the dirt and the need to bucket-flush the toilet to have the fun of that view. In Harar we were blessed to spend some time with Lidya and Zeytuna’s extended family, who were utterly thrilled to see them. Such a blessed time! People recognized and welcomed Lidya and Zeytuna everywhere we went, it seemed. And let me tell you, Ethiopian hospitality is amazing. Always people want to feed you and offer you coffee, and make sure you’re sitting someplace comfortable. We had friends of the family invite us into their homes, and perfect strangers in restaurants send people searching the streets for the french fries that Julianna craved. One lovely family friend invited us for dinner and then when I complimented her shoes, she offered to give them to me. (I refused as graciously as I could, and barely talked her out of it.) She served us dinner complete with gursha, an Ethiopian custom of hospitality that involves tucking (stuffing) choice bites of food into your guests’ mouths. Yikes! Such a foreign (and frankly uncomfy) tradition — and yet I loved the sweet heart behind it, and of course her obvious love for the girls. Once again, proof that all our girls have people who love them on both sides of the world.